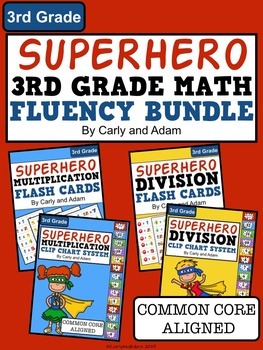 SUPERHERO Math Fact Fluency Bundle! 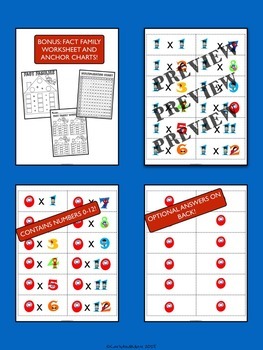 This is a great tool to use throughout the school year as your students learn multiplication and division skills. The clip chart system is excellent for motivating students and tracking their growth. As they master each fact, you can print them their new flash cards as part of the celebration. 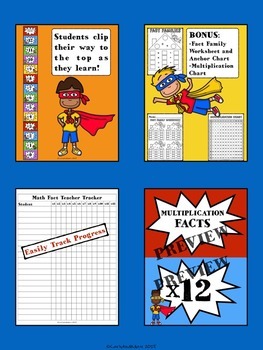 The superhero flash cards are a fun way to have students practice the next level on their way to becoming math fact masters! 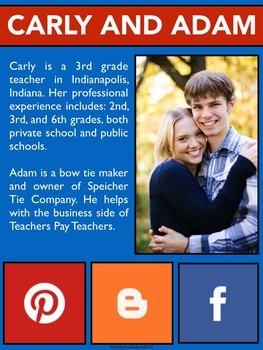 Be sure to check out our blog, The Carly and Adam Blog, for teaching tips and discussion. *Common Core only requires students learn to x10. However, we went to 12. You can easily cut out 11 and 12 if desired. Copyright © 2015 Carly and Adam. All rights reserved by Carly and Adam. This product is to be used by the purchaser only. Copying for more than one teacher, classroom, department, school, or school system is prohibited. This product may not be sold, distributed, or displayed digitally (in part or in whole) for public view. Failure to comply is a copyright infringement and a violation of the Digital Millennium Copyright Act (DMCA).